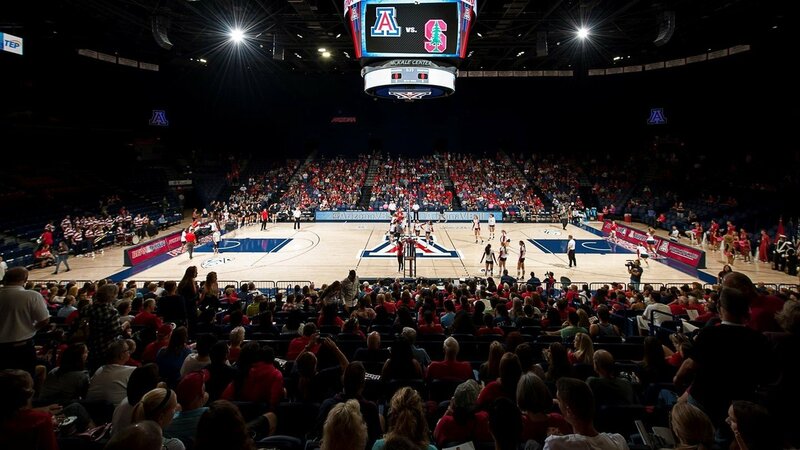 Coming off of a successful pre-conference slate, the Arizona Wildcats (14-2, 3-1 Pac-12) continued to build upon their success with wins over Oregon and Oregon State this weekend. The Wildcats are still missing one of their strongest attackers. Liz Shelton finished the 2017 season with 187 kills and 61 total blocks, and was expected to be a major contributor during the 2018 season. Shelton suffered a concussion and has not been part of the lineup since a match on September 15th against UC Davis. Through that match, Shelton had three matches with double-digit kills, including 12 kills against Utah State on August 24th and 12 kills against Sacramento State on August 25th. Shelton was averaging 2.14 Kills/Set before her injury. Four matches have passed since the original concussion. The Wildcats have sixteen matches left on their Pac-12 slate. Arizona is back in action this weekend, hosting Washington on Friday (6:00 PM MST) and Washington State on Sunday (12:00 PM MST).